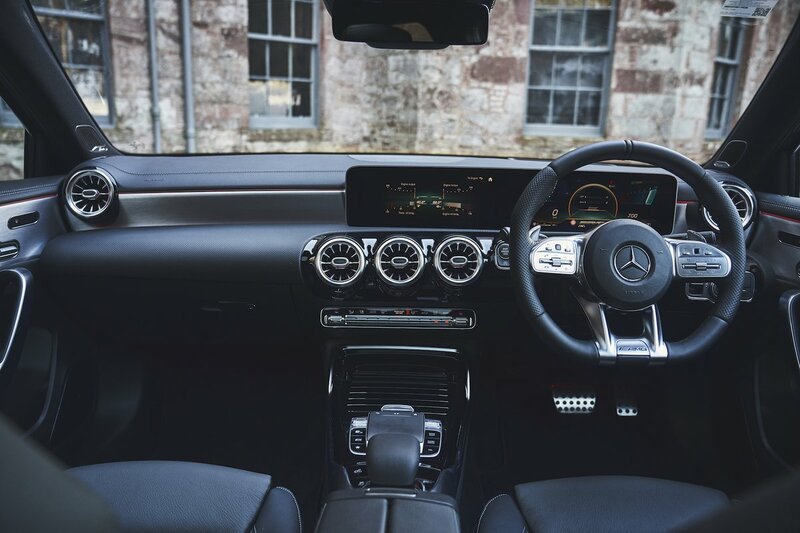 Mercedes-AMG A35 Interior, Sat Nav, Dashboard | What Car? 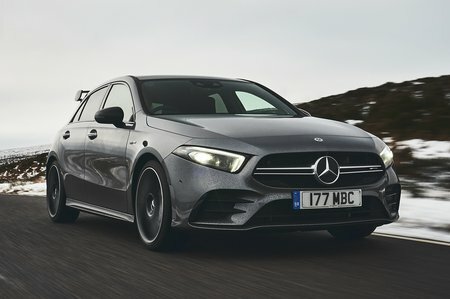 Adding to the A-Class’s already spectacular cabin, the A35 gets plenty of racy touches such as a pair of AMG sports seats, an AMG flat-bottomed steering wheel with touchpad controls and AMG-specific graphics for digital instruments that include a Supersport mode with a large central rev counter. The manually adjustable driver’s seat combines with plenty of steering wheel reach and rake adjustment to enable drivers of all sizes to find a comfy posture. Add the Premium Plus Pack and you get electric front seats with memory and adjustable lumbar support. If you add the optional AMG Track Pace Pack, you also get a bundle of bespoke software for the car’s MBUX infotainment system. During track driving, this permanently records data such as acceleration, braking and lap times for post-drive analysis. It’s something we doubt any buyers will actually use in anger, and like having a dive watch rated to 200m, it’s more about bragging rights than anything else. Despite its hefty price, the A35 still comes with a modest 7.0in digital instrument cluster and a 7.0in media screen as standard. Opt for the Executive Equipment Package and the 7.0in media screen is replaced by a 10.25in version with sharper graphics. If you add the Premium Package, the instrument screen is also enlarged to 10.25in and, when combined, they give the appearance of one giant widescreen that stretches half the length of the dashboard. Whatever system you choose, you can either control it via the central touchscreen, a laptop-style touchpad between the seats or another smaller version on the left of the steering wheel. 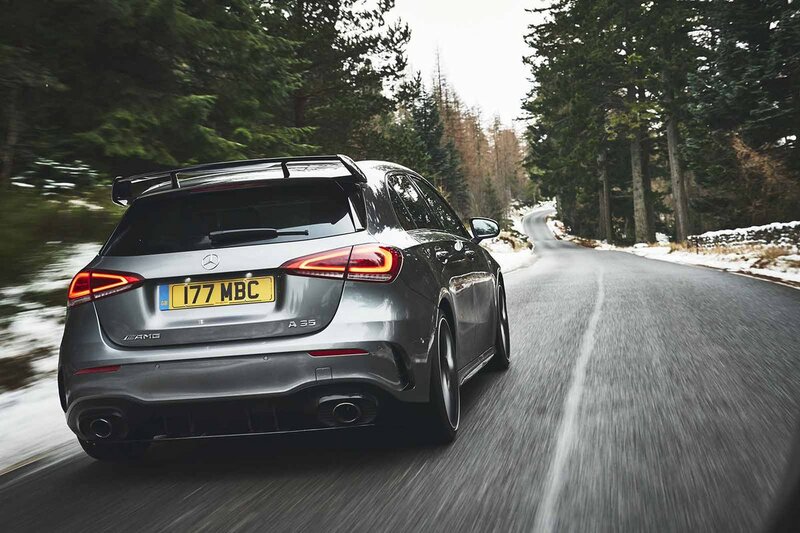 It’s a good system with logical menus, but we can’t help but think the M140i and S3’s rotary dial-controlled systems are easier to use on the move.